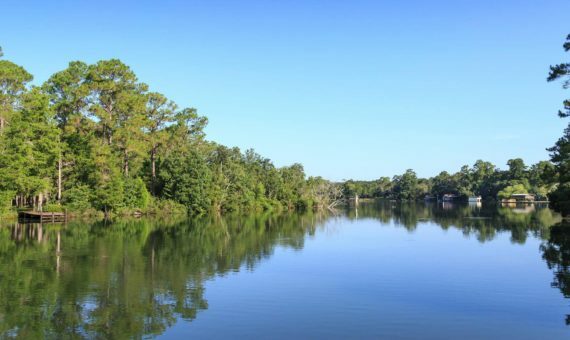 Looking for places to stay near Gulf Shores Alabama? Spend an unforgettable romantic escape in the first floor McLennan Room at our bed and breakfast near Gulf Shores. A beautifully presented room offering 12 ft. ceilings, an iron canopy king bed, and comfy sitting area. This bedroom and bath are restored to a magnificent level and include an original “soak worthy” claw foot tub and elephant trunk toilet that is over 200 years old and works like the day it was made! 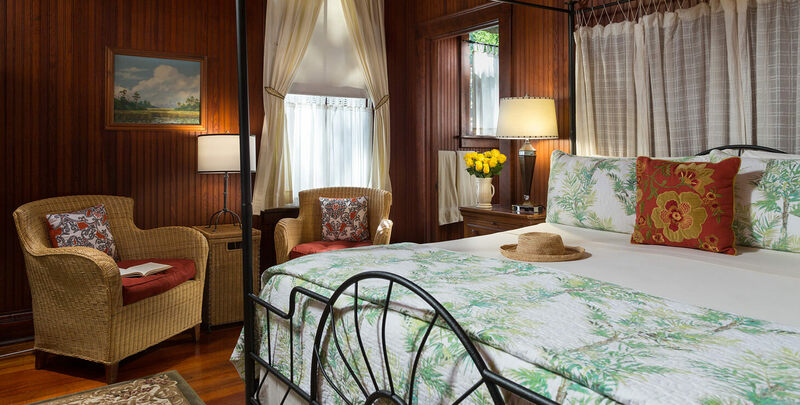 The resplendent king bed faces the south window overlooking the front porch and our beautiful canopy oak trees.